I wanna share info based on my bad experience with Rollei QBM to NEX adapters. It seems there are multiple designs available. Some of them should be avoided. The Rollei QBM mount was iteratively improved. 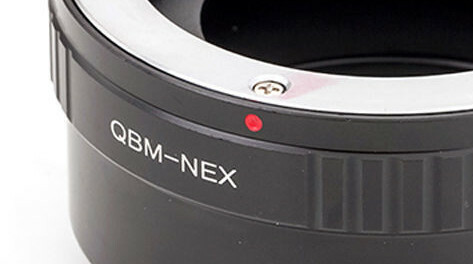 In its second generation (QBM II) Rollei added an aperture coupling lug. 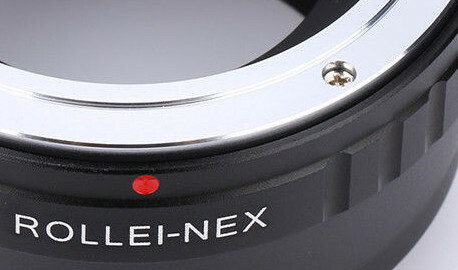 This lug is located at lenses base and turns along with the lens' aperture ring. Many adapters are designed in a way their upper part has four screws which are aligned with the red "mount dot". This unfortunate design choice causes the coupling lug to stuck inside the nearest screw hole and effectively preventing the aperture ring from turning. So you get stuck with f/4 or so. Second part of my caution notice concerns directly an adapter made by Pixco wich is sold by various sellers. Avoid the Pixco adapter at all costs!